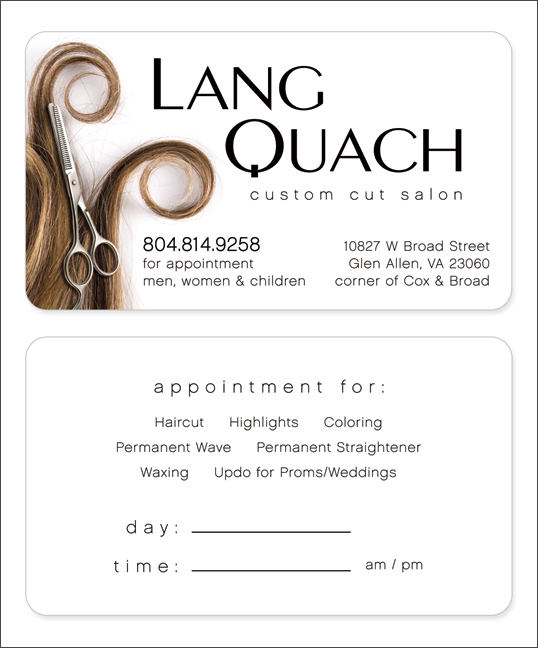 Project Details: We created a fun and classy business card for hair stylist Lang Quach. The card was produced with a matte finish to give it a smooth feel while enabling it to be written on easily with a ball point pen. The back side is simple and allows for quick “fill-in-the-blank” use.